Visit the Archant Bride stand to enter our competition to win a luxury seven-night all-inclusive honeymoon in the Dominican Republic, courtesy of Thomas Cook and Hard Rock Hotels. The Amazing Days Ice Cream Bike is offering special show packages, starting from only £175, and will be giving away a complimentary ‘treat’ package with every booking made. There will also be 10% off hire of The Amazing Days 4 foot tall illuminated LOVE letters and free delicious ice cream samples. Beaconside Country House is running a competition to win £500 towards your honeymoon, by booking a viewing at the venue during the show. The winner will be drawn at random on 1st May, 2017. Buckland Tout Saints is running a £500 discount on its full summer package. FMP Videos is offering a 10% discount on any of package. Visit the Focus Weddings stand to receive a 40% discount on your wedding photography package, available exclusively at the show for just £717 instead of £1,195. Enter the HEY JULES! 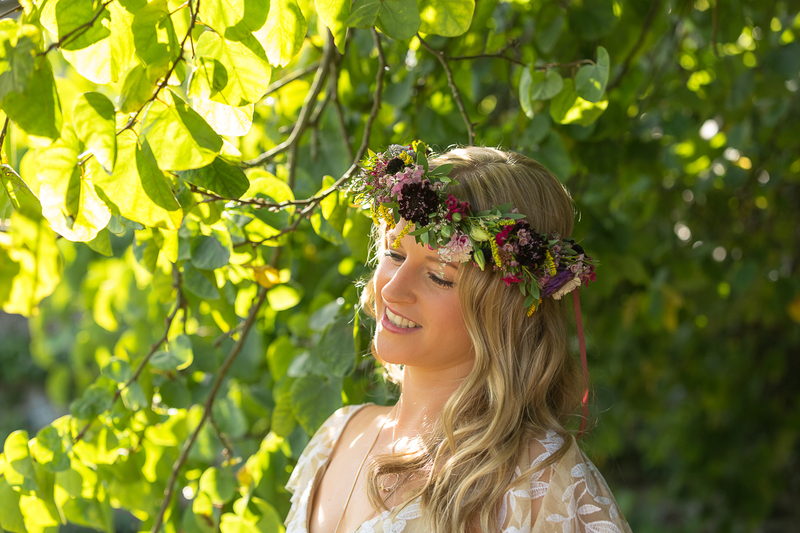 competition to win a bespoke headpiece, worth up to £150. Some runners-up will also win prizes, including bridal earrings, a bracelet and a pair of bespoke cufflinks. HEY JULES! is also offering 10% off all orders placed during the show. Kensa Boudoir is offering one lucky bride-to-be the chance to win a free makeover shoot in a show-exclusive competition. Visitors to the stand can also purchase a boudoir makeover shoot for just £20 (normally £99) or two shoots for £30. Enjoy 15% off all packages from Kirsty Matthews Photography. Kylie Mobile Hair is offering show-only discounts on all packages booked with her throughout the weekend. Pop along to her stand to find out more. Luna Ciné Films is running a 10% discount on all wedding films booked over the weekend and up to seven days afterwards. Maxi Photography is offering an exclusive show discount of £100 plus a beautiful 16×12 fine art print, worth £65, for any bookings taken at the show. In addition, collect your free wedding planner and enter to win a magnum of Moët & Chandon champagne. Pay a visit to the Mimosa Photography stand to enter the lucky dip and receive a unique code for discounts of at least 10%. One winner will receive a golden ticket and ‘100% off’ discount on a package worth £425, or use this value to upgrade to another package. Book Nick Pearce and enjoy a £250 saving on your wedding photography. Plus the first five bookings on both days of the show will receive a free bottle of Vintage DOCG prosecco on the couple’s wedding day. Photographer, Nina Dodd, is offering couples a 20% discount on a full-day wedding shoot, starting from £680 for a 10-hour shoot. Couples who book Norsworthy Photography as a result of the show will receive a set of Bridesmaids Mini Books, worth £245. These are copies of the bride and groom’s wedding album in smaller scale – ideal for thank you gifts. Receive a 10% discount on your wedding flowers from Papier Bloom when you order by March 31. Couples who book Prestige Supercar on the day with a holding deposit to secure their allocated slot can enjoy one of two exclusive offers at the show: a 10% discount towards the total car hire cost, or a free chauffeur driven 15 minute supercar experience for a couple at your wedding party. The Southgate Hotel is launching its Winter Wedding celebrations for 50 guests for the show-exclusive price of £2,950. The venue will also be offering couples a £250 bar tab on your wedding day to celebrate in style (valid for 2017 and 2018 weddings, booked before the end of April 2017). Come to The Bridal Emporium stand and receive a discount voucher valid until the end of May 2017. You can also enter The Bridal Emporium’s ‘Free Bridesmaids’ competition. Your chance to win a spa break for two at Best Western The Dartmouth Hotel, Golf and Spa which includes one night’s accommodation, bed and breakfast, a three-course evening meal and one 30-minute beauty treatment per person. Save £100 on your venue dressing booking with The Devon Wedding Company by filling in a competition form on the stand. Five runners-up will receive a £25 discount voucher for their venue dressing. No purchase necessary. The winner will be announced on Monday 27th March via social media and will be contacted directly. Receive a 20% discount on all hire items from The Pretty Accessory. Truly Delightful is running a competition to win a bridal hairpiece (tiara, circlet or comb etc). Vintage Camper Booths is offering couples the chance to win a 25% discount off its signature photobooth package – £499, instead of £599. There is also a 10% discount on normal package prices for bookings made at the show with a 10% deposit. Bride: The Wedding Show is coming to Westpoint Exeter on 25-26 March bringing together more than 130 of the region’s finest wedding suppliers under one roof. There will be show-stopping catwalk shows taking place three times each day, live music, a Champagne bar, free copies of South West Bride magazine to pick up and goody bags for the first 100 brides through the doors each day.